Serve up some creepily delicious Spooky Witch Fingers this Halloween for a scarily healthy appetizer using gluten-free Brazi Bites! These Brazi Bites Spooky Witch “fingers” are fun and easy to make so even the kids can get involved in the kitchen. 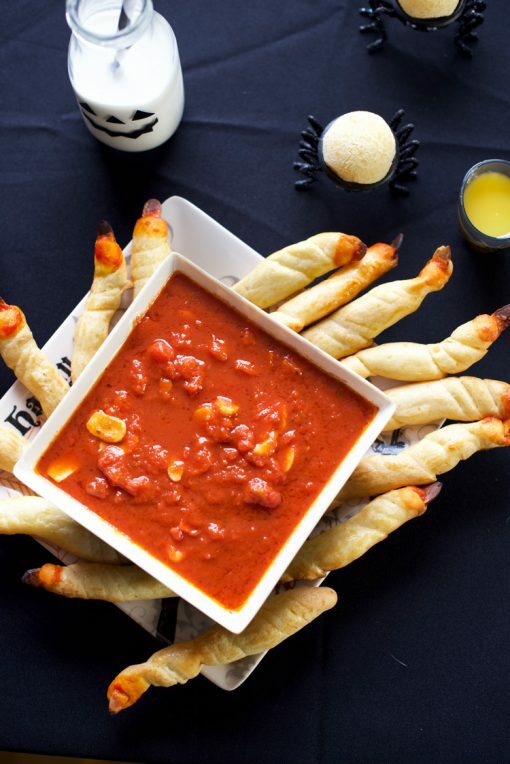 Served with marinara sauce “blood” for dipping, this dish is a spook-tastic treat for your entire family! For the Marinara: Heat oil over medium heat. Add garlic cloves and cook for 30 seconds until beginning to sizzle. Add tomatoes and 1 c. Water. Add Red pepper flakes, salt and dried oregano. Bring marinara to a simmer and cook for 15 minutes until thickened. 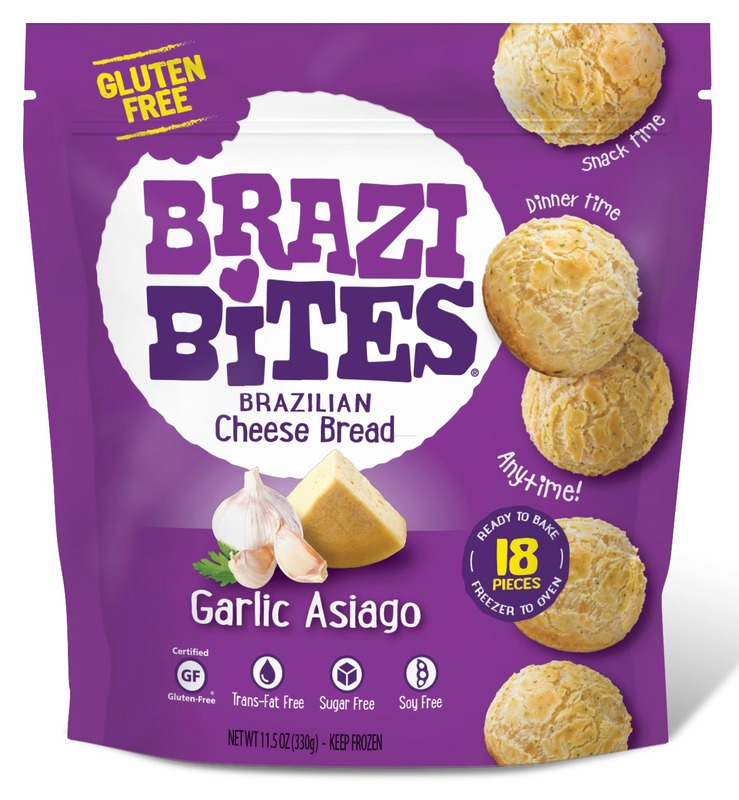 Serve with Brazi bites fingers. For the Brazi Bites fingers: Preheat oven to 400 F. Coat hands well with oil. 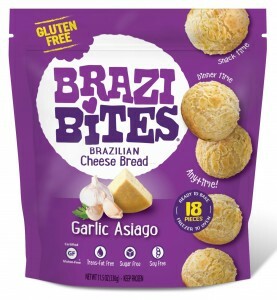 Knead Brazi Bite (1 ea.) well and roll into a 5 in. ‘stick.’ Using a small knife, cut 3 slits along the top, middle and bottom of the finger. Place an almond slice into the top of the “finger.’ Place onto a sheet pan coated with pan spray. Brush fingers with egg wash. Bake in oven for 18-22 minutes until golden brown. Brush the “nail” of the finger with marinara sauce.